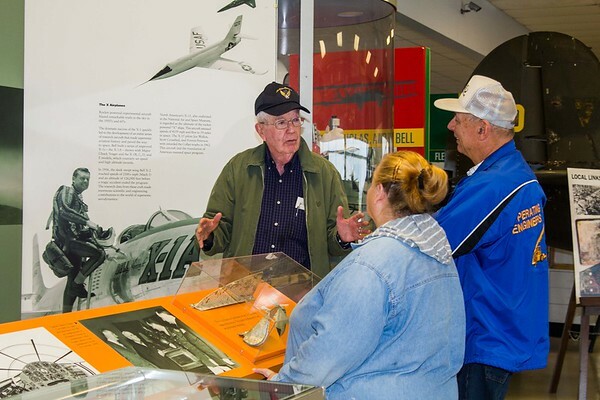 Hugh Neeson, director of development for the Niagara Aerospace Museum, explains the history of the Bell X-1 to Mary and Jim Solernor of Barker during an event at the museum. Saturday was the 70th anniverary of test pilot Chuck Yeager's supersonic flight in the Bell X-1. Two Bell X-1 planes still exist. One is in the Smithsonian, the other is in a museum at Edwards Air Force Bace in California.